PHOTO BY R.S. 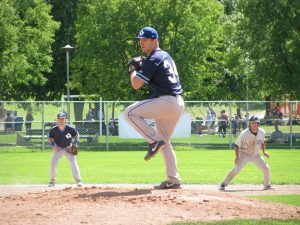 KONJEK/GLEANER NEWS: Pitcher Marek Deska of the Toronto Maple Leafs winds up during playoff action at Christie Pits last month. PHOTO BY R.S. 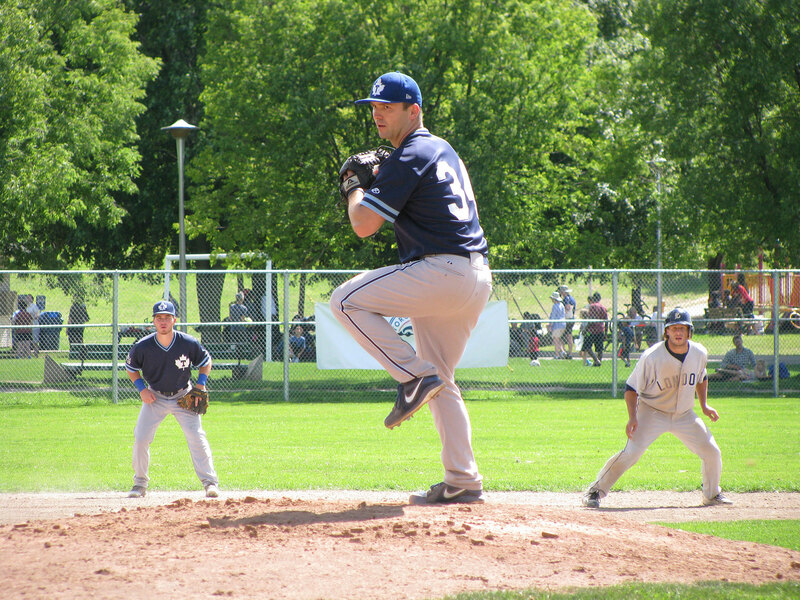 KONJEK/GLEANER NEWS: Brett van Pelt of the Toronto Maple Leafs delivers a pitch on July 31 during the final game of the regular season. PHOTO BY R.S. 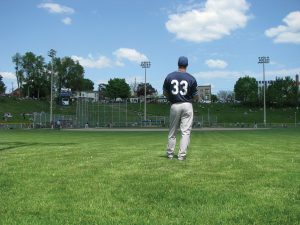 KONJEK: Jon Waltenbury patrols the outfield at Christie Pits during the Toronto Maple Leafs’ game against the Brantford Red Sox on May 22. 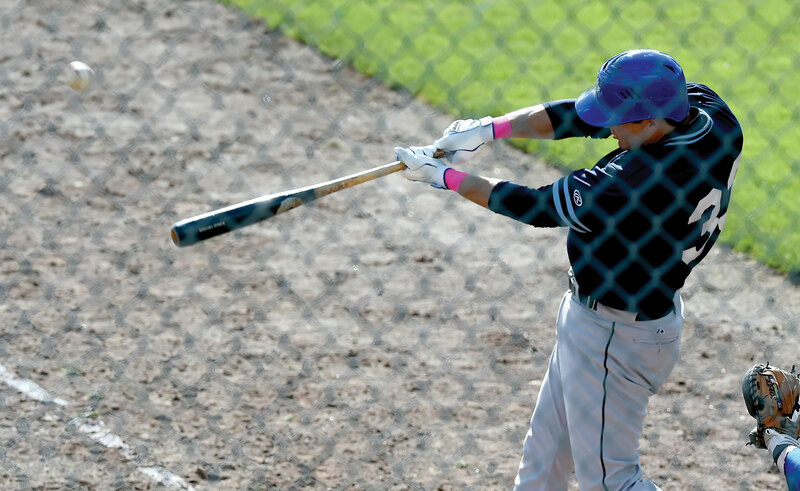 Waltenbury’s three-run homer put the Leafs ahead for good, and ensured an 8-6 victory. 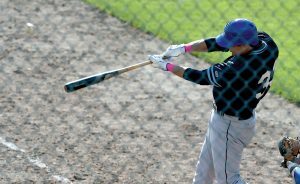 R. S. Konjek summarizes a month of Maple Leafs in his baseball column. PHOTO COURTESY OF DAN HAMILTON/VANTAGE POINT STUDIOS: Toronto Maple Leafs baseball returned to Dominico Field at Christie Pits with a bang on May 8. First baseman Jon Waltenbury blasted one of the Leafs’ four home runs on opening day, powering the club to a 13 to 2 victory over the Guelph Royals. Next game is 2 p.m. on May 15 versus the Burlington Bandits. This summer, the Gleaner will feature a monthly Maple Leafs Baseball column by R.S. Konjek. Connor Lewis of the Toronto Maple Leafs digs in during Intercounty League playoff action this month at Christie Pits. 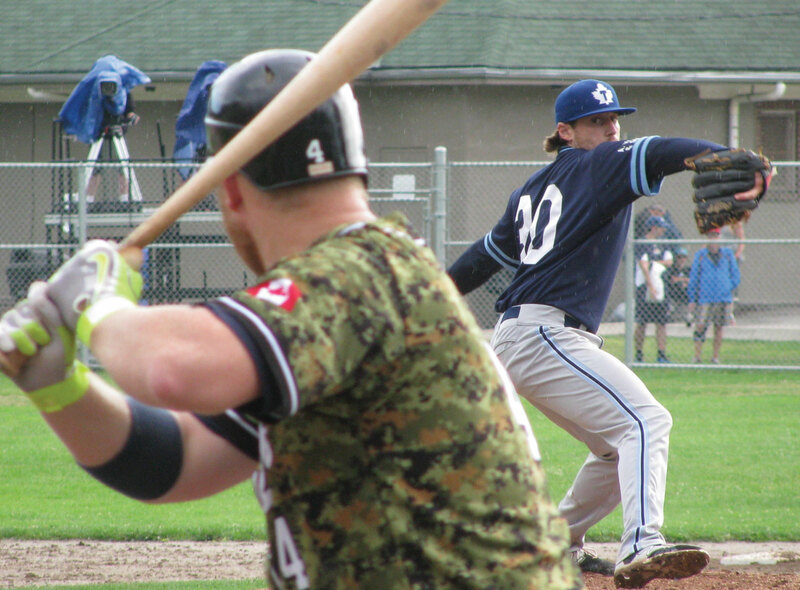 The Leafs’ post-season run took the team all the way to game seven of the semi-finals, before being eliminated by the Barrie Baycats, the defending champions. 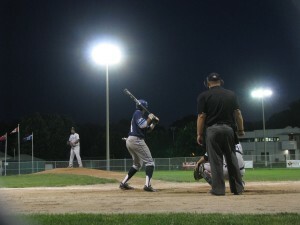 The Leafs will return for their 48th season of baseball at the Pits next May.